Welcome to The Andy Blake Group, our goal is to make this process as easy and enjoyable as possible. As a team, we take pride in helping you make wise decisions in buying and selling a home. We genuinely care for our clients because we want to be your lifelong resource for all of your real estate needs. We know you have lots of options when choosing an agent and we thank you for choosing our team! Andy Blake has lived in the KC area for over 20 years. After graduating from KSU, Andy decided to pursue a career in real estate. Since becoming a realtor in 2008, Andy has rapidly become a top producer in the KC area. Andy’s extensive knowledge of property helps you feel confident when negotiating contracts and making important decisions. Whether you are a first time buyer, needing more space, selling your final home, or looking for investment properties, Andy takes pride in helping you make very sound real estate decisions. Andy leads The Andy Blake Group, a successful real estate team driven to provide excellent customer service to their clients. As team leader and in the top 1% of realtors in the Kansas City area, Andy also holds multiple five star real estate professional awards. With two boys and a girl, family is the most important part of his life. He enjoys spending time with his family, hanging out at the lake, and cheering on the Royals and Wildcats. 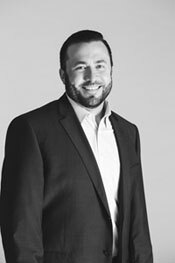 Aaron Olla is an experienced agent with a passion and desire to give people a great experience. 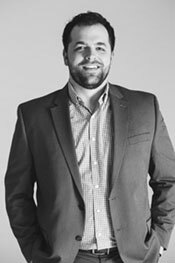 After working with different companies and offices, Aaron chose to work with The Andy Blake Group. The choice was easy after seeing and experiencing how the group works to serve people rather than being served. Aaron’s mission, his daily goal, is to serve others with excellence. Aaron has worked in and around the customer service industry his whole life. The home buying and selling experience can be vastly different for every homeowner. From first time home buyers to people downsizing after the kids have moved out, Aaron spends time listening and learning the needs of his clients so that people always remain at the center of every transaction. Aaron is happily married with three children. Family is a huge part of Aaron’s life, with the majority of his free time being spent with his three kids, his five siblings, or one of the many cousins that live near by. He loves gathering people together to play sports, share a meal, or just enjoy the various places and people of Kansas City. 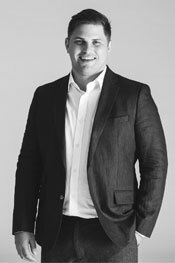 Andy Carter originally joined The Andy Blake Group when he decided to follow his passion for real estate. Born and raised in Overland Park, Andy knows the Kansas City area intimately. With his background in the health insurance industry and all of its complexities, Andy thrives when negotiating contracts. But what he enjoys most are the relationships and time he gets to spend getting to know his clients. Andy loves helping his clients make informed and educated decisions. Purchasing or selling a home can be one of the most important financial decisions of a person’s life. Andy makes the process of buying and selling a home a fun and easy one by guiding his clients through every step. His goal is to exceed all expectations by providing a level of service that is unmatched. Andy graduated from K-State with a degree in Marketing and loves to visit Manhattan, KS (the Little Apple!). He enjoys spending time with his friends and family, playing cars with his 1 year-old nephew, playing softball and racquetball, and enjoying all of the good life that KC has to offer. 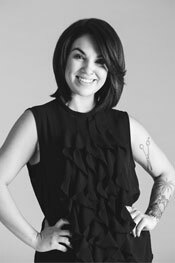 Ashley Bilbrey joined the Andy Blake Team when she decided to make a move from the fashion industry. After several years in LA and NY, Ashley made her way back to her hometown of Overland Park. 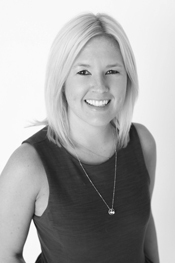 Born and raised in Lenexa, Ashley is extremely familiar with KC and surrounding areas. With her background in customer service, Ashley’s favorite part about her move to real estate are the relationships with her clients and the opportunity to help with one of the biggest purchases of their lives. Ashley understands that every home buyer and seller has a different story. She is excited to get to know each client, and provide them with all of the information and tools they want and need to make the home buying and selling process an enjoyable one. Ashley recently married her best friend, who she met in grade school. She is the oldest of four siblings and is very close with her family. Ashley is lucky to have her two sweet nephews, River and Thatcher close by to love on. She and her husband live in Prairie Village with their two dogs, Teddy and Brutus. Marley Thompson is our groups transaction coordinator. With several years experience in customer service, Marley is excited to bring you the best in buying/selling your home. 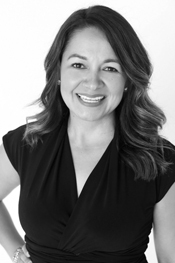 Her strong organizational skills and real estate knowledge come in handy to The Andy Blake Group. With a history of relocating throughout the county, Marley is able to provide you with strong support during the home buying and selling process. Marley looks forward to working with you!